If you thought the first two installments were well written, wait till you see what 12 Monkeys Season 1 Episode 3 has in store for us. 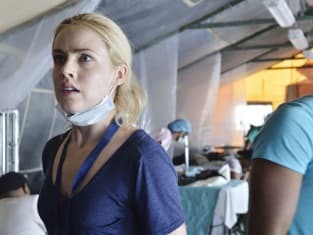 This week, we check in with Dr. Railly during the outbreak in Haiti which proved to be a devastating moment in her life. Cole has been warned against making contact with her or risk corrupting Cassie's future timeline. Is he searching for "the one that got away"? Syfy has released a few photos from Friday's installment. Flip through the slideshow below for a hint or two of what's coming up. 12 Monkeys Photos from "Cassandra Complex"
Did you know Syfy has been allowing us to "splinter" (for 24 hours) over to the following week's installment online and via video On Demand? Die hard 12 Monkeys fanatics (like myself) have been viewing episodes back to back on Friday night! Hopefully, this little treat continues. Have theories about where the show is headed? Join our 12 Monkeys Round Table to share your thoughts and hypotheses with us! 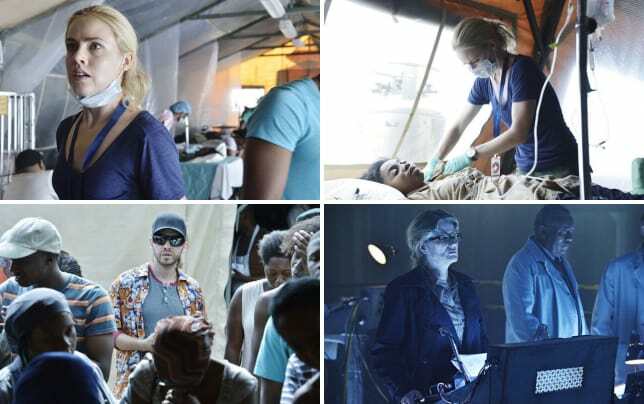 As always, don't forget you can watch 12 Monkeys online via TV Fanatic at any time. 12 Monkeys Sneak Peek - "Cassandra Complex"
12 Monkeys Season 1 Episode 3 is titled "Cassandra Complex" and airs on Friday, January 30 at 9/8c. Cassie: It's not everyday you see the building you're going to die in. Permalink: It's not everyday you see the building you're going to die in. Cassie: How long do you think it will be before the 12 Monkeys break Jennifer Goines? Cole: Don't know, but she won't make it easy. Cassie: There's nothing in the future that can help us find her? Cole: No we gotta find this guy. Cassie: The one who got away. Permalink: The one who got away.